The investigation was designed to study nitric oxide (NO) blood level estimated by measuring its stable metabolites nitrite (NO2-) and nitrate (NO3-) concentration in highlanders (2,200 m a.s.l.). NO2- и NO3- concentration was measured with Griss reagent and brucine reagent respectively with using the spectrophotometric method. We first found that high- landers compared to lowlanders have increased blood level of NO2- (37 ± 3.3 nmol/ml vs. 28.5 ± 1.3 nmol/ml, Р < 0.05) and NO3- (1362 ± 43 nmol/ml vs. 845 ± 65 nmol/ml, Р < 0.001). 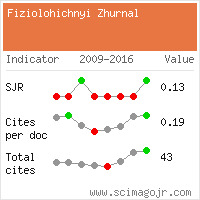 As the most significant, there was increase in NO2- concentration in erythrocytes (by about 6 times), NO3- level in erythrocytes was revealed to be increased by 2.5 times, whereas the plasma concentration of these stable metabolites was the same (for NO3-) or even slightly decreased (for NO2-). Such increased NO stable metabolites blood level in highlanders may explain widening of vasodilative reserve and strengthening of cardiac pump and contractile functions, which we revealed previously. Activation of NO-system in high altitude is important and probable trigger adaptive mechanism of cardiovascular system to hypoxia. This mechanism allows to retain adequate tissue perfusion and optimal oxygen supply in its decreased partial pressure in inhaled air and thereby to prevent diseases caused by vasospastic processes. Доломан Л.Б., Сагач В.Ф., Курданов Х.А. та ін. Особливості кардіогемодинаміки та ендотелійзалежної судинної реактивності у мешканців високогір’я// Фізіол. журн.– 2002.– 48, №4.– С. 33–38. Коцюруба А.В., Семикопна Т.В., Вікторов О.П. та ін. Деклараційний патент на винахід 31600 А.15.12.2000.– Бюл. №7–11. Спосіб кількісного визначенні нітрит–аніону в біологічній рідині. Лямина Н.П., Сенчихин В.Н., Покидышев Д.А., Манухина Е.Б. Нарушение продукции оксида азота у мужчин молодого возраста с артериальной гипертензией и немедикаментозный метод ее коррекции// Кардиология.– 2001.– 41, №9.–С. 17–21. Реутов В.П., Ажипа Я.И., Каюшин Л.П. Кислород как ингибитор нитритредуктазной активности гемоглобина// Докл. РАН. Серия биол.–1983.– №3.– С. 408–417. Реутов В.П., Сорокина Е.Г., Охотин В.Е., Косицын Н.С. Циклические превращения оксида азота в организме млекопитающих. – М.:Наука, 1998. –159 с.
Baker J.E., Holman P., Kalyanaraman B. et al. Adaptation of hearts to chronic hypoxia increases tolerance to subsequent ischemia by increased nitric oxide production// Adv. Exp. Med. Biol.– 1998.– 454.– P. 203–217. Beall C.M., Laskowski D., Strohl K.P. et al. Pulmonary nitric oxide in mountain dwellers// Nature.– 2001.– 414, N6862.– P411–412. 9. Earley S., Naik J.S., Walker B.R. 48–h Hypoxic exposure results in endothelium–dependent systemic vascular smooth muscle cell hyperpolarization//Amer. J. Physiol. Regul. Integr. Comp. Physiol.–2002.– 283, N1.– P. R79–85. 10. Ishimura N., Kitaguchi K., Tatsumi K., Furuya H. Nitric oxide involvement in hypoxic dilatation of pial arteries in the cat// Anesthesiology.– 1996.– 85, №6.– P.1350–1356. Faller DV Endothelial cell responses to hypoxic stress// Clin. Exp. Pharmacol. Physiol.– 1999.– 26, N1.– P. 74–84. Fiori G., Facchini F., Pettener D. et al. Relationships between blood pressure, anthropometric characteristics and blood lipids in high– and lowaltitude populations from Central Asia// Ann. Hum. Biol.– 2000.– 27, N1.– P 19–28. Giordano E., Guarnieri C., Muscari C., Caldarera C.M. Molecular mechanisms of response to low oxygen tension in the vascular wall // Cardiologia.– 1999.– 44, N9. – P.779–782. Green L.C., David A.V., Glogowski J. et al. Analysis of nitrate, nitrite and [15N] nitrate in biological fluids// Ann. 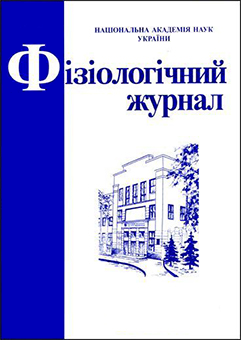 Biochem.– 1982.– 126,N1.– P. 131–138. Kuo P.C., Abe K., Schroeder R.A. Superoxide inhances interleukin 1 beta – mediated transcription of the hepatocyte–inducible nitric oxide synthase gene// Gastroenterology.– 2000.– 118, N3.–P.608–618. Mulsch A., Bassenge E., Busse R. Nitric oxide synthesis in endothelial cytosol: evidence for a calcium–dependent and a calcium–independent mechanism// Naunyn Schmiedeberg’s Arch. Pharmacol.– 1989.– 340, N6(Pt 2).– P. 767–770. Ochiai–Kanai R., Hasegawa K., Takeuchi Y. et al. Immunohistochemical nitrotyrosine distribution in neonatal rat cerebrocortical slices during and after hypoxia// Brain Res.– 1999.– 847, N1.– P. 59–70. Schmidt H.H.W. Determination of NO via measurement of nitrite and nitrate in culture media// Biochemica. – 1995.– 2.– P. 22–34. 19. Siegel G., Grote J., Schnalke F., Zimmer K. The significance of the endothelium for hypoxic vasodilatation// Z. Kardiol.– 1989.– 78, N6.– P. 124–131. 20. Vallet B., Winn M.J., Asante N.K., Cain S.M. Influence of oxygen on endothelium–derived relaxation factor / nitric oxide and K+–dependent regulation of vascular tone// J. Cardiovasc. PharМатеріал надійшов до редакції 20.08.2002Ін-т фізіології ім. О.О. Богомольця НАНУкраїни, Київ;Ін-т біохімії ім. О.В. Палладіна НАН України, Київ; Міжнарод. центр астроном.і мед.-екол. досліджень, Терскол, КБР, Росія Збільшений вміст стабільних метаболітів оксиду азоту macol.– 1994.– 24, N4.– P.596–602. West M.A., Li M.H., Seatter S.C. Bubrick M.P. Pre–exposure to hypoxia or septic stimuli differentially regulates endotoxin release of tumor necrosis factor, interleukin–6, interleukin–1, prostaglandin E2, nitric oxide, and superoxide by macrophages // J.Trauma.– 1994.– 37, N1.– P. 82–89. Xue C., Rengasamy A., Le Cras T.D. et al. Distribution of NOS in normoxic vs. hypoxic rat lung: upregulation of NOS by chronic hypoxia// Amer.J. Physiol.– 1994.– 267, N6 (Pt1).– P. L667–L678. Zhang L., Xiao D., Bouslough DB. Long–term highaltitude hypoxia increases plasma nitrate levels in pregnant ewes and their fetuses// Amer. J. Obstet.Gynecol.– 1998.– 179, N6 (Pt 1).– P. 1594–1598. Zweier J.L., Samouilov A., Kuppusamy P. Nonenzimatic nitric oxide synthesis in biological sys- tems// J. Biochem. And Biophys. Acta.– 1999.–1411, N 2–3.– P. 250–262.